Want to be notified of new releases in koenbok/Framer? There are 2 ways to use Framer Library. 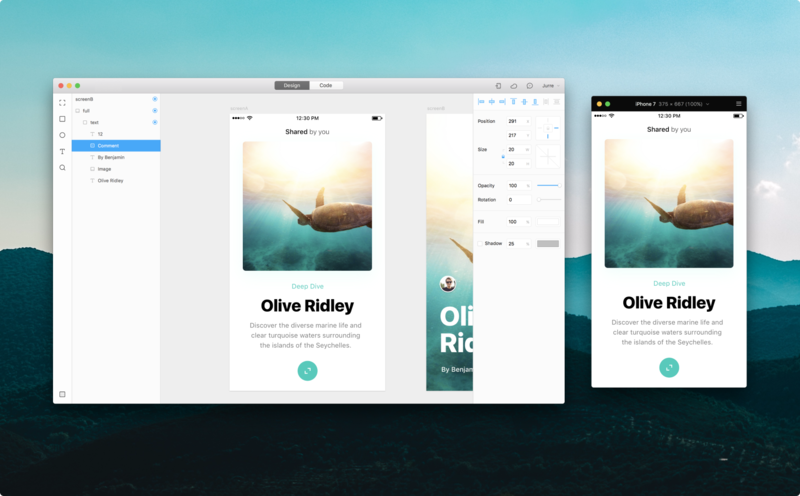 To get most out of Library download Framer; a design tool for the Mac. The other way you can leverage Framer Library is with generator; an app that imports your layers from Sketch, Photoshop and Figma. The following features are included with each option. 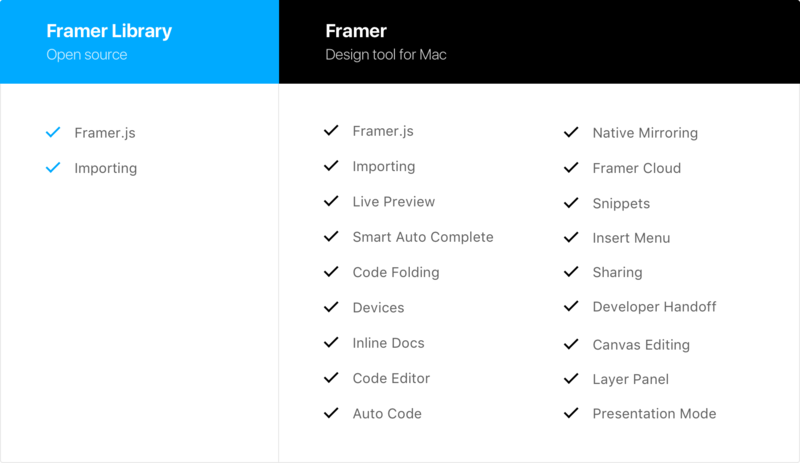 Framer is a design tool for the Mac which allows you to design without limitations. It is based on Framer Library and offers the familiarity of visual editing with the flexibility of code. A seamless workflow, further complemented by device previewing, version control and easy sharing. Learn with our beginner guides that give you a basic overview of Framer Library and a few simple pointers on how to set yourself up for success. Become part of the community and join the Facebook Group or engage with members in your city. Over 19.000 designers, engineers and creators are waiting to meet you.